Originally from Panama and Cuba, Fragrant Panama rose is an evergreen shrub, commonly cultivated in gardens in India. It grows up to 6-10 feet tall, with opposite sessile, ovate to oblong leaves with wavy margins, 2 inches long. 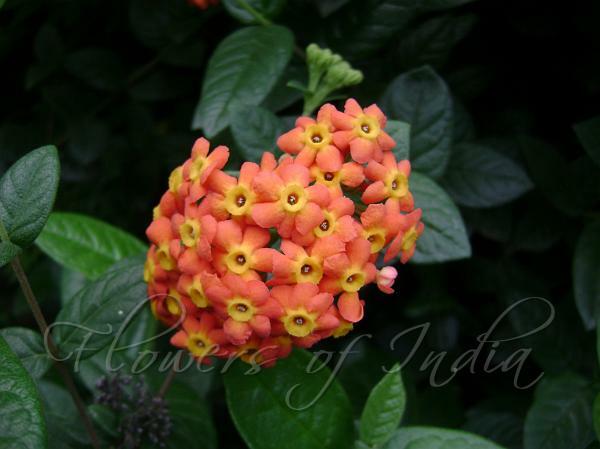 From summer to fall, it blooms with beautiful, fragrant reddish orange, tubular flowers with yellow throats. Flowers occur in many-flowered cymes at the end of branches, up to 5 inch across. 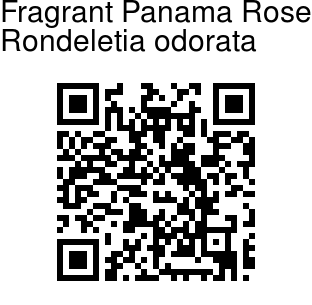 The Fragrant Panama rose was first collected by Alexander von Humboldt and Aimé Bonpland in "Mexico: Guerrero: inter Alto del Peregrino et Río Papagallo", 'between loft of the wanderer (or peregrine's nest?) and the River Papagayo (parrot)'. The botanical name was published by Kunth in 1818 in the fourth edition of Nova Genera et Species Plantarum. The name honored Guillaume Rondelet, a natural historian, physician, and botany instructor at the university in Montpellier, France in the 16th century.